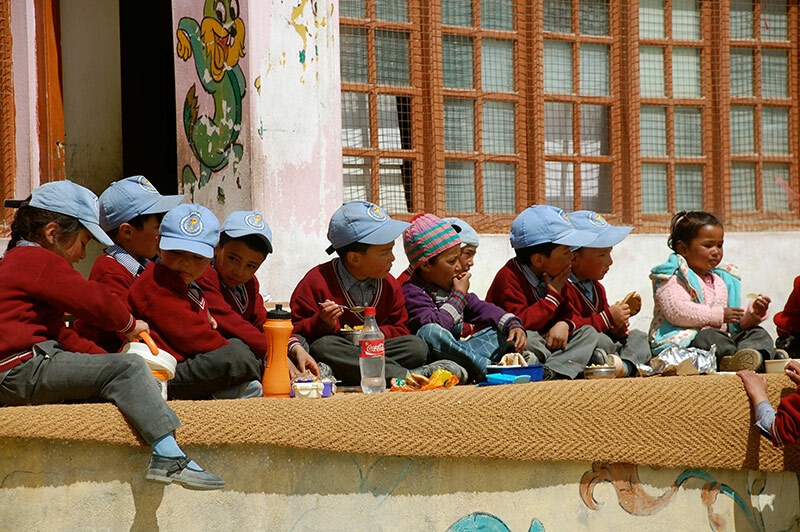 The Spring Dales Public School was established in 1992 when education in the remote areas of Ladakh was scarce. At the time, the quality of government schools particularly in the district of Kargil was quite poor. Although there are government schools in the area, there were no public schools in its broad vicinity. 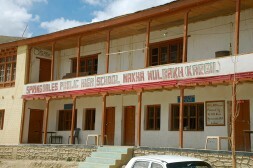 Spring Dales Public School goes from LKG to class 10 and was the only public school in Mulbek at the time of its establishment. In 1992 when its doors opened there were only 3 or 4 students, 2 teachers and the school functioned out of a single room. As the number of students grew to about 15, the school was moved to its current location. In 2008 with a growing number of 80 students, the school was at the brink of closing because of poor management. At that crucial point in 2008, Mr Norboo who currently is in charge of the school received a formal request from the locals to take the position of principle at the school. Since then, he has positively transformed every aspect of the school. He is innovative and creative when it comes to teaching and management methods. 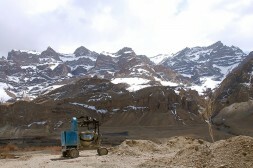 He has been able to raise funds in this remote and neglected area, where it has been almost impossible to do so. He firmly believes that in the future the running of the school must be designed in such a way that they will be sustainable in the long run. He engaged some educated people in the school’s administration and began to overhaul the entire school system. 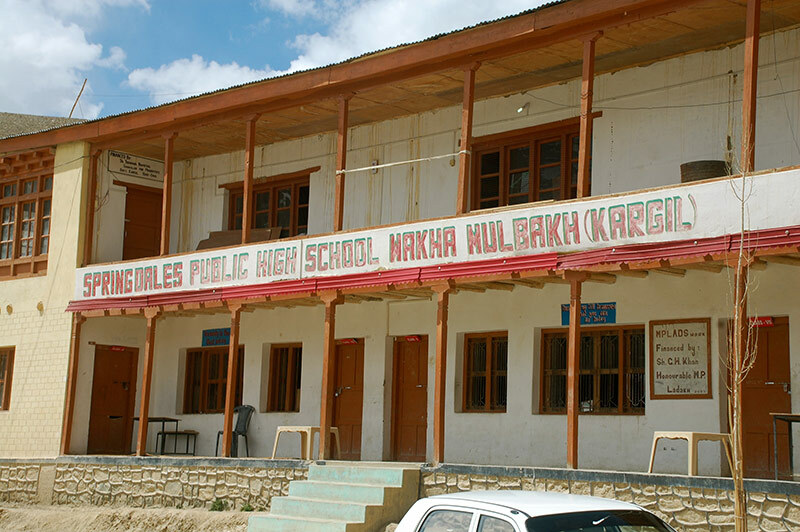 Spring Dales Public School follows the Jammu and Kashmir State Board, but is interested in employing a holistic approach to education. When Mr. Norboo joined the school, he noticed that most of the children would mainly memorize lines from textbooks and not really learn or understand them. He has focused his attention on helping the children discover the practical applications of the material they study and truly understand the concepts they learn. To do this, he became interested in developing extra curricular activities – a completely alien concept within the structure of the school then. The regular school schedule followed Monday to Saturday classes, and the children were asked to leave their bags at home on Saturday. All of Saturday was used exclusively for extra curricular activities – sports, dance, music, art, team building activities and talent development. This had a huge impact on the children and the results were apparent almost immediately. They became more confident and alert, where they had previously been painfully shy and introverted and they were no longer scared to approach their teachers with questions. This was also instantly reflected in their academics and the flowering of their developing personalities. The school is run in such a way to involve the community in their activities. The top priority lies in the budding minds of children. Educating children in their own hometown had not been possible here until Spring Dales Public School opened its doors. Children would have to go till Leh (120 Kilometres away), although most would migrate south of Ladakh to receive a good education. 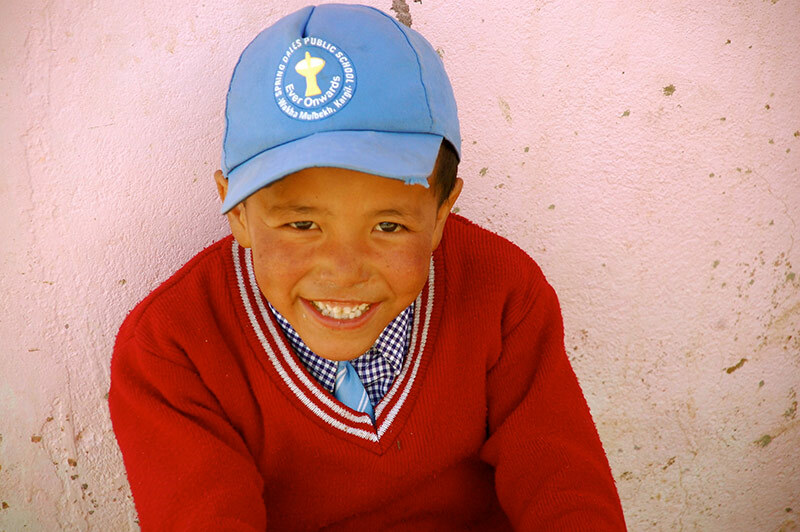 Having access to quality education at their doorstep is immensely important for the community, as the children are not removed from their families and they will in the future be able to contribute to the empowerment of their community. Some other ways in which the school is benefitting the community are: 1. Through construction – their first priority is to employ the local community in any capacity before seeking outside labour; 2. With entrepreneurial projects – the idea is to engage local unemployed youth to run these projects, and train them to take on the responsibilities involved. This project would earn revenue for the school so that it may be self-sustainable and not require annual donations. They have not yet decided what other venture to start but are considering a cyber café or shop. 3. By establishing winter projects – January through March are months in which it is difficult to do anything in Ladakh due to extreme weather. Once their hostel construction is complete, they intend to use it to hold workshops for women, adults, parents of students and anyone else who may be interested. They want to help develop awareness on different issues, garner skills and start various training and leadership programs. In 2010 the school’s administrators had an audience with His Holiness, who visited the school for half an hour. They explained all the work they had done and about their many plans for the future. The next morning His Holiness returned for an hour and a half for an unplanned visit and impressed with their vision he made a small donation. 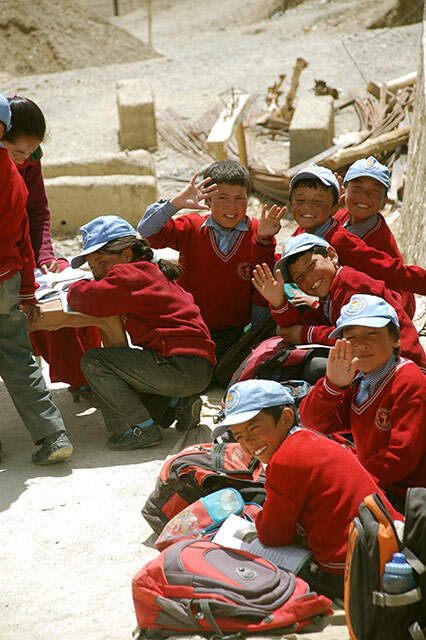 This was the beginning of the relationship between the Spring Dales Public School and the Dalai Lama Trust. The following year they were granted another audience with His Holiness in Dharamshala in September of 2011. Mr. Norboo brought along with him all the progress reports and future plans and requested some financial assistance. His Holiness agreed to make a further donation. Spring Dales came to discover that this donation was given by the Dalai Lama Trust New York. Later, The Dalai Lama Trust India issued a similar donation, also over the course of three years. The financial assistance was needed mainly for two purposes at the time – 1. 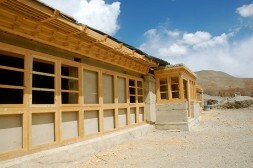 The construction of a classroom block and; 2. To cover their deficits: salaries for teachers, general daily running expenses and materials. 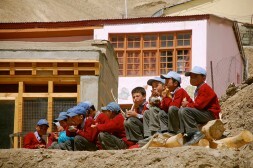 Since then they have been sending progress reports and have been in touch often with the Dalai Lama Trust.